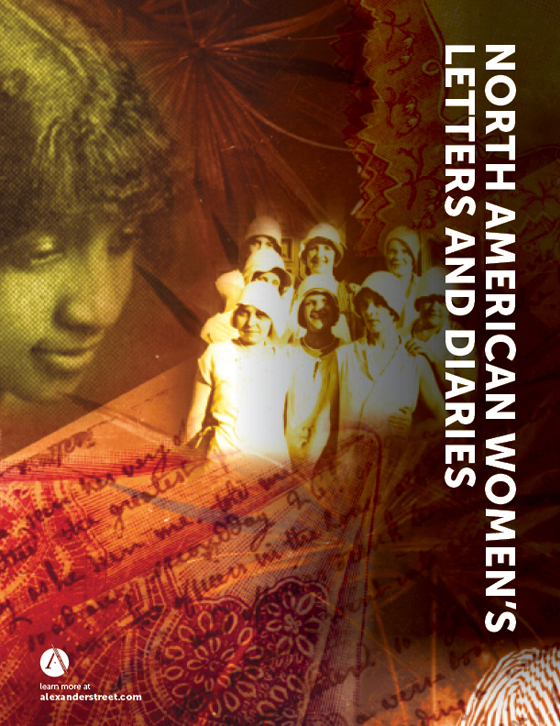 North American Women’s Letters and Diaries is the largest electronic collection of women’s diaries and correspondence ever assembled. 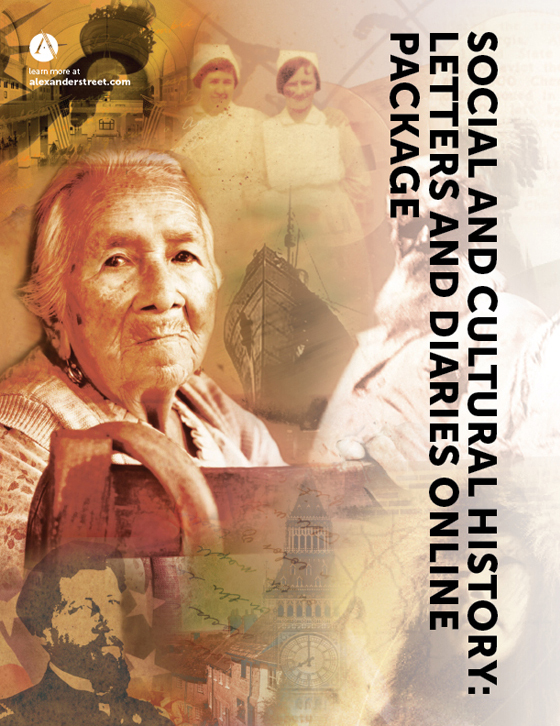 Spanning more than 300 years, it presents the personal experiences of hundreds of women. 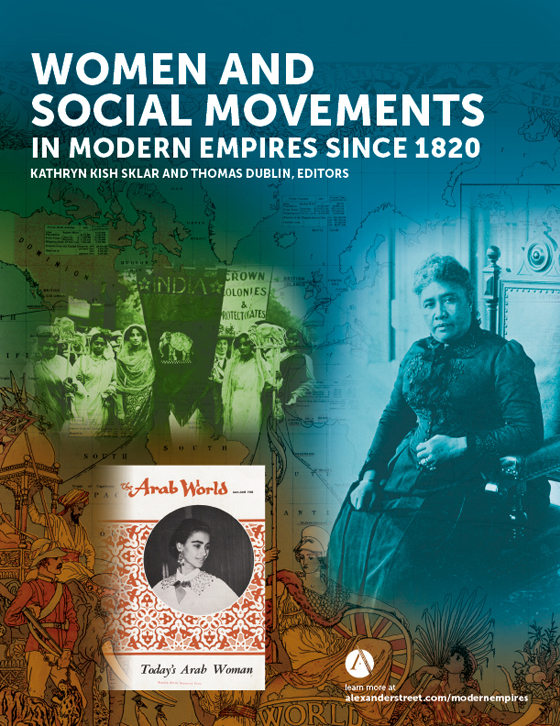 Complementing Alexander Street’s British and Irish Women's Letters and Diaries, the database is ideal for research in women’s studies, history, sociology, literature, genealogy, and other fields. The writings provide a detailed record of what women wore, what they ate, what they read, the conditions under which they worked, and how they amused themselves. We can see how frequently they attended church, how they viewed their connection to God, and how they prayed. We can explore their relationships with lovers and with family and friends. The collection includes approximately 150,000 pages of letters and diaries from Colonial times to 1950, including 7,000 pages of previously unpublished manuscripts—all in electronic format for the first time. The material is drawn from more than 1,000 sources, including journal articles, pamphlets, newsletters, monographs, and conference proceedings, and much of it is in copyright. Represented are all age groups and life stages, a wide range of ethnicities, many geographical regions, the famous, and the not so famous. 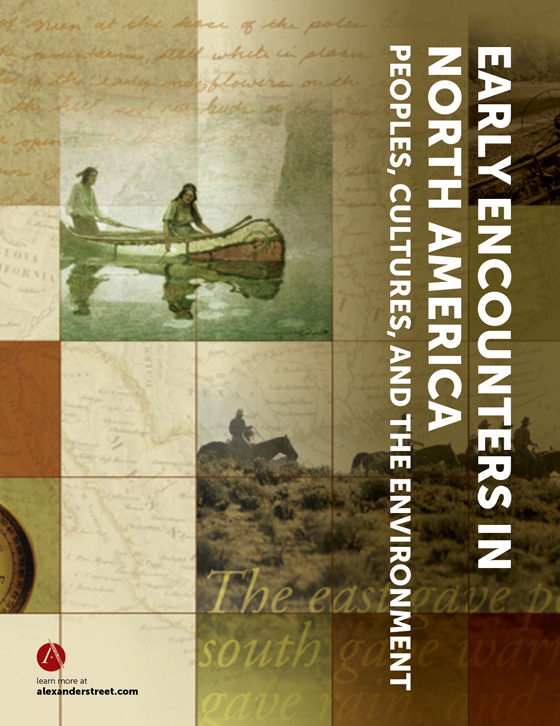 More than 1,500 biographies enhance the use of the database. Mrs. Cary was imprisoned soon after his departure, and her daughter, Mrs. Switcher, or Sweetzer, gained access to her, and, by changing clothes, succeeded in restoring her mother to liberty. Assisted by her friends, she was put on board a ship ready to sail for London, and arrived in the Thames soon after her husband. He was on board his ship shaving himself when she entered the cabin. He started, and exclaimed, "My wife! I really believe you are a witch, and have come over in an eggshell." "Don't be a fool, Nat, like the rest of your countrymen," she replied. This is as my father used to relate the story, and they returned together to America, by which time the people had recovered their senses and deplored the many cruel deaths which had taken place. Alexander Street’s unique Semantic Indexing lets researchers easily find answers that have been virtually impossible to locate in the materials until now. All diary entries and letters written between 1820 and 1900 that discuss childbirth. All materials written from 1941 to 1945 that mention war. All correspondence from women in the Northeast to their husbands in the Northwest during the Gold Rush. 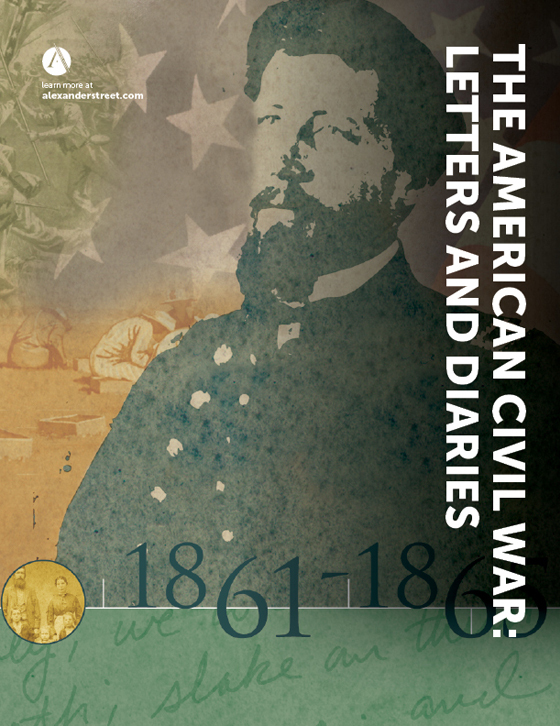 All letters written by African Americans who were educators. All letters sent by Abigail Adams that mention Boston. All diary entries by suffragettes that have women’s rights issues as subjects. 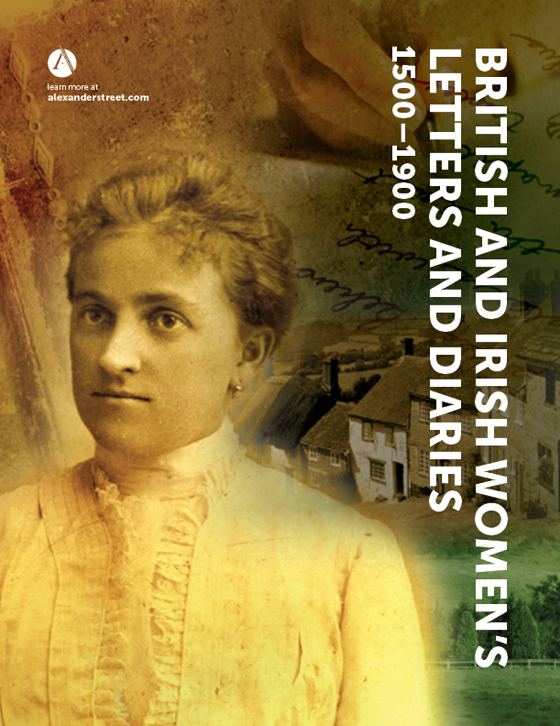 Diaries and letters, written by women younger than twenty, which mention marriage. 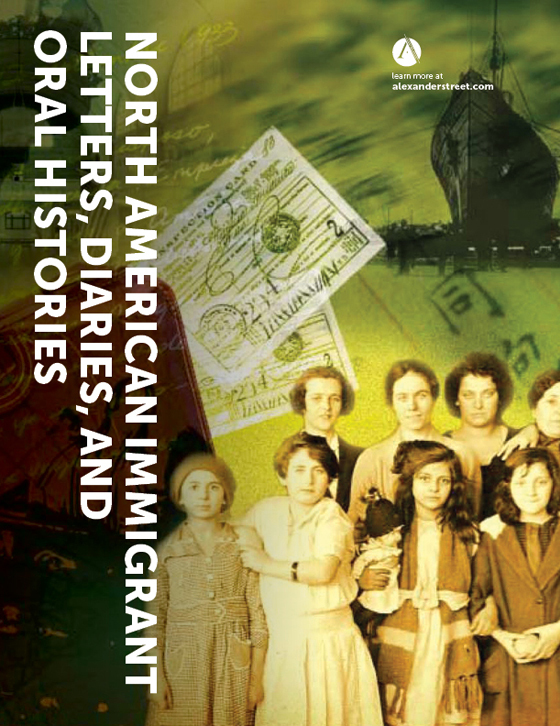 North American Women’s Letters and Diaries is available on the Web, either through one-time purchase of perpetual rights or through annual subscription. 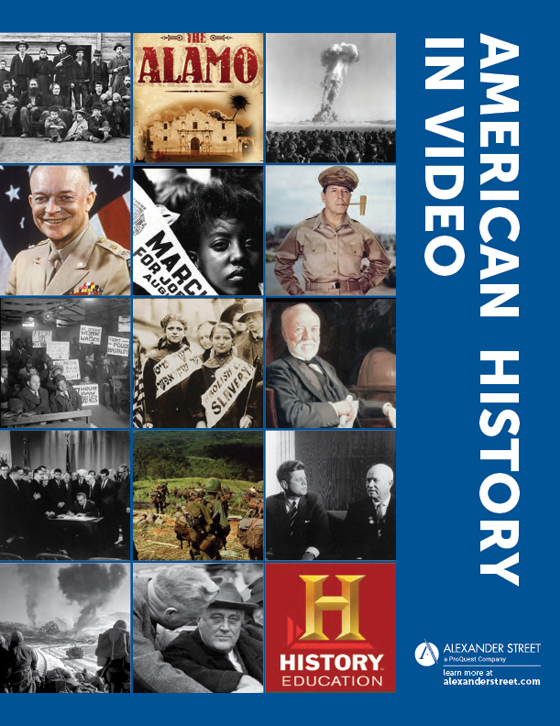 It contains 150,000 pages of text, including 7,000 pages of previously unpublished manuscript material. Libraries that purchase perpetual rights will also receive an archival copy of the data. A great product, with extraordinarily rich indexing...The interface is clean and elegant and wastes neither space nor time. Academic libraries will consider it an essential tool for students and faculty; large public libraries will find a multitude of uses for it as well.